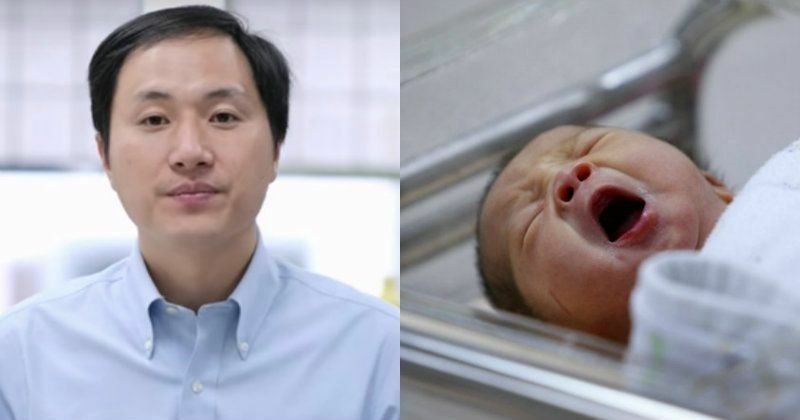 A Chinese scientist has claimed that he helped create the world’s first gene-edited babies, a pair of twins with an edited gene that gives them some protection against HIV. He Jiankui – the China-born, US-trained mastermind of the project – announced the breakthrough on Sunday in true 21st-century style: a series of YouTube videos. The Jiankui He Lab at the Southern University of Science and Technology in China says they “will publish [their] full data soon”, however, the bold claims are not yet verified by independent researchers, as first reported by MIT Technology Review. If true, the advancement is enormously important and undoubtedly controversial. While CRISPR gene tweaking holds promise for both science and society, many scientists remain wary about playing around with this tool on people, as it’s still extremely early days for the research and human trials have been very limited. The twins, called Lulu and Nana, were born a few weeks ago and are now reportedly at home with their parents. The family will remain anonymous to the public and He wouldn’t say where the work was carried out. The twins' father is HIV-positive. Although his daughters would not have necessarily been born with HIV, they will now acquire some protection against the virus through an alteration to just one gene. He explained that the pregnancy was much like “regular IVF with one difference”. When the eggs and sperm were combined, the scientists also added a CRISPR protein that had been "told" to alter the CCR5 gene. Disabling this single gene helps to “shut the doorway” through which HIV can enter and infect cells. It's worth noting that an HIV infection could still potentially occur. At least seven couples were reportedly part of the clinical trial, all containing a would-be father with HIV, but just one pair of twins were born. Since the gene is edited at a very early stage of development, the genetic change could be inherited and could go on to affect the entire gene pool. Speaking to the Associated Press, several scientists expressed doubts about whether the gene editing will be totally successful, citing insufficient evidence. Even aside from the scientific considerations, the project is also a minefield of major ethical concerns. Is it safe in the long term? Is it “playing God?” What precedent does it set? Have we opened some kind of Pandora’s box? “If true, this experiment is monstrous,” Professor Julian Savulescu, a professor of practical ethics at the University of Oxford, said in a statement. “The embryos were healthy. No known diseases. Gene editing itself is experimental and is still associated with off-target mutations. He, on the other hand, remains confident in his work: “I believe families need this technology. And I am willing to take the criticism for them."